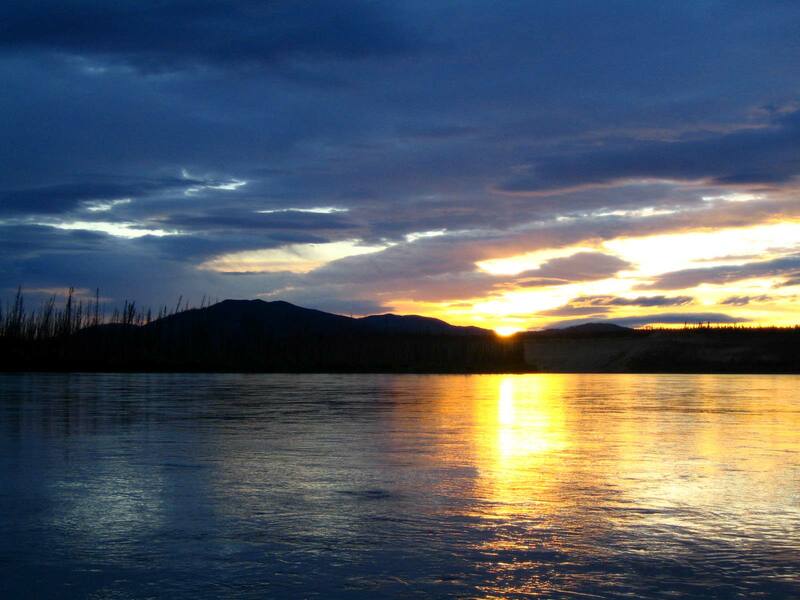 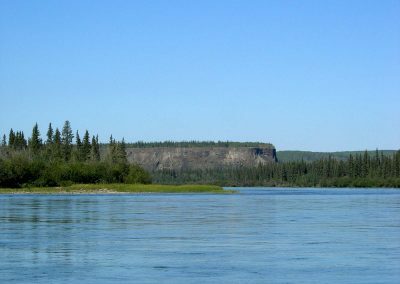 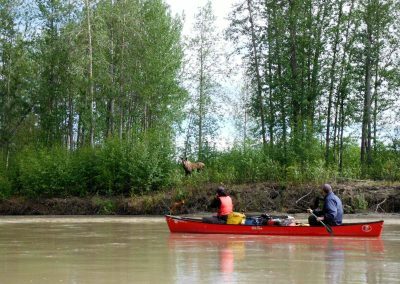 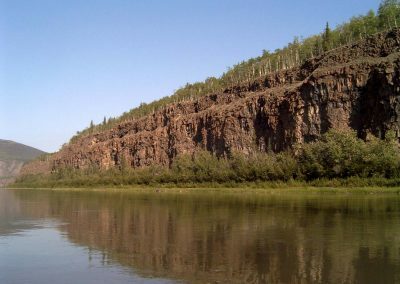 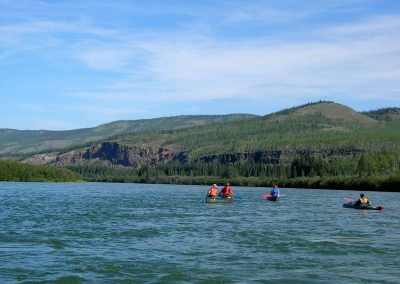 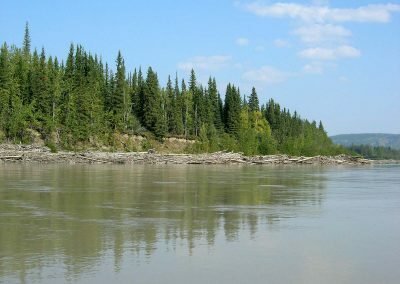 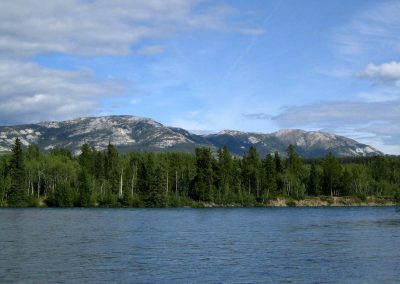 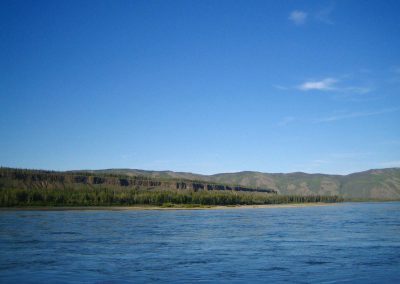 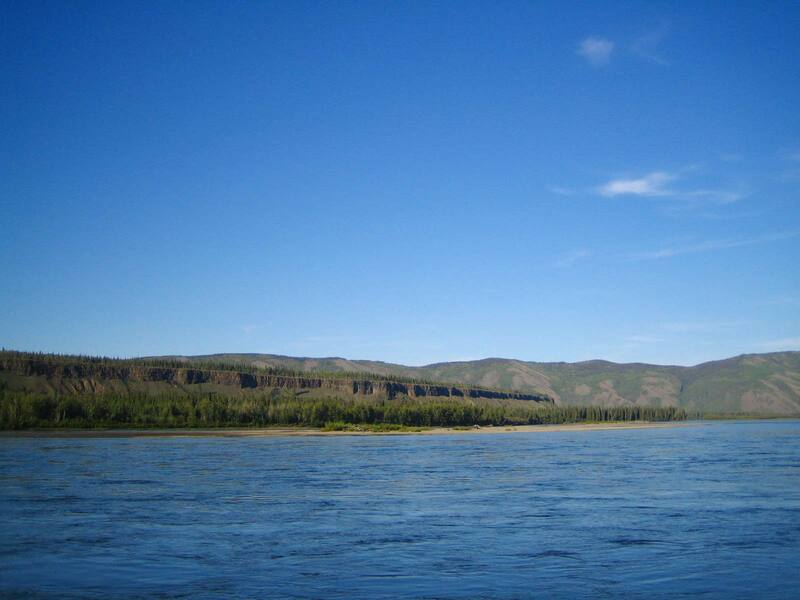 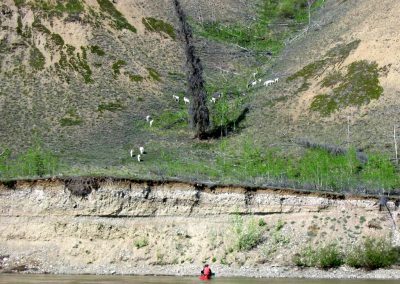 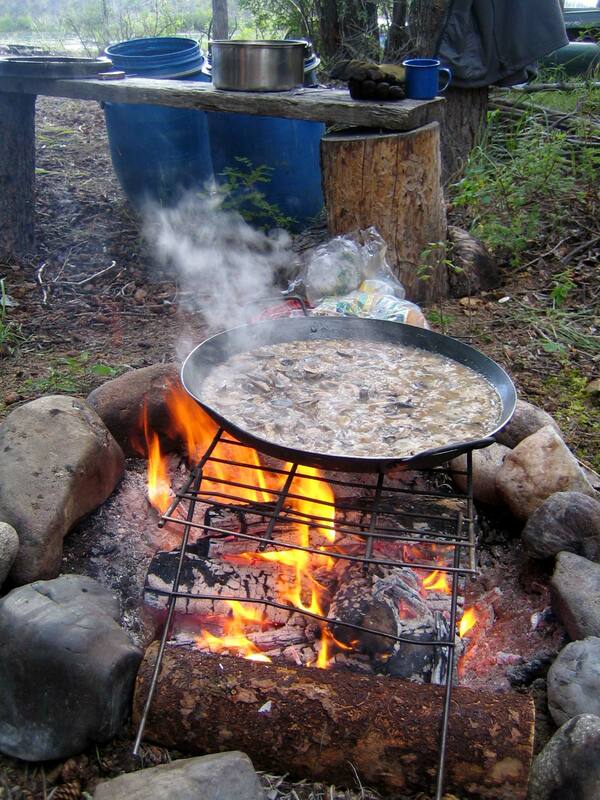 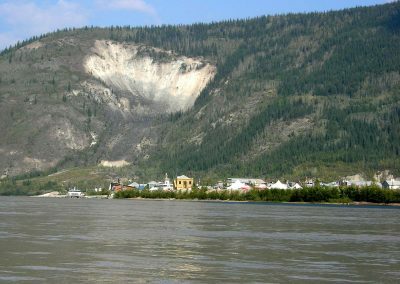 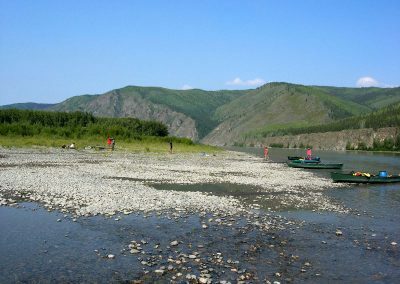 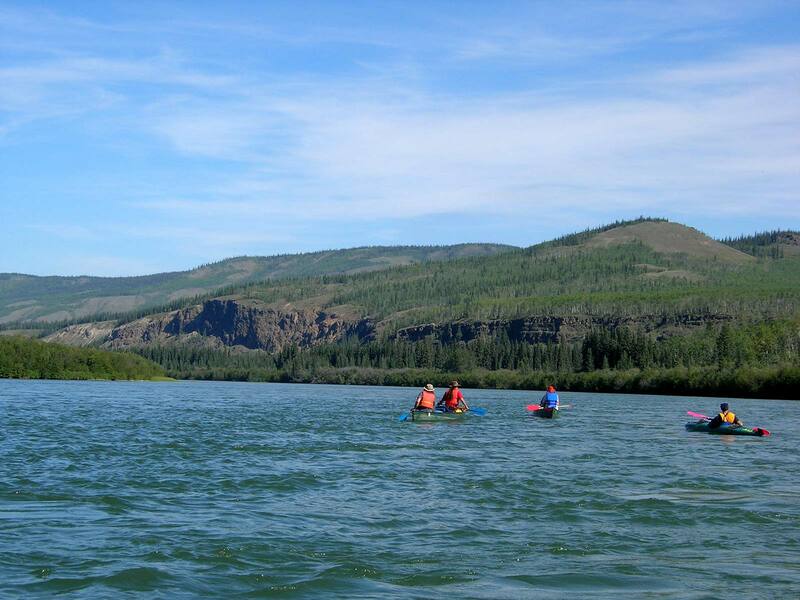 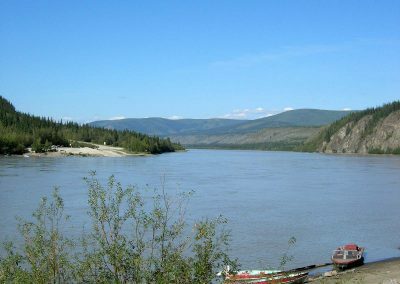 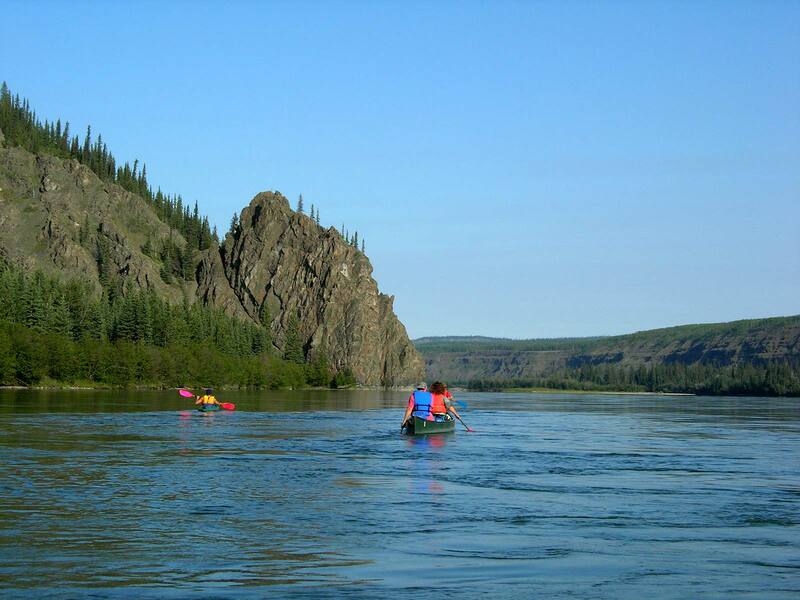 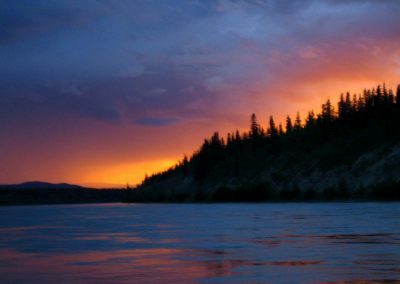 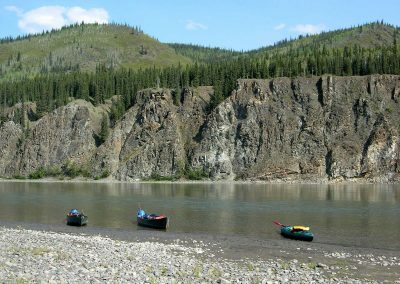 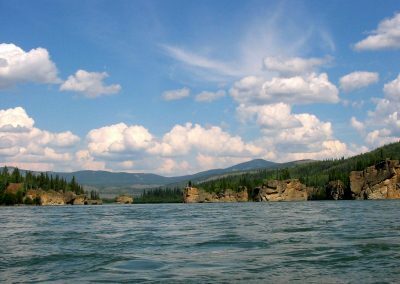 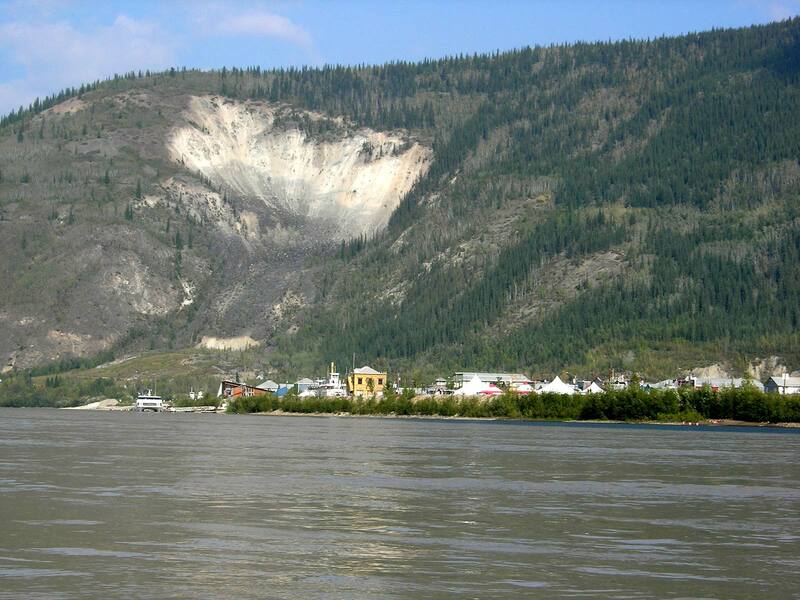 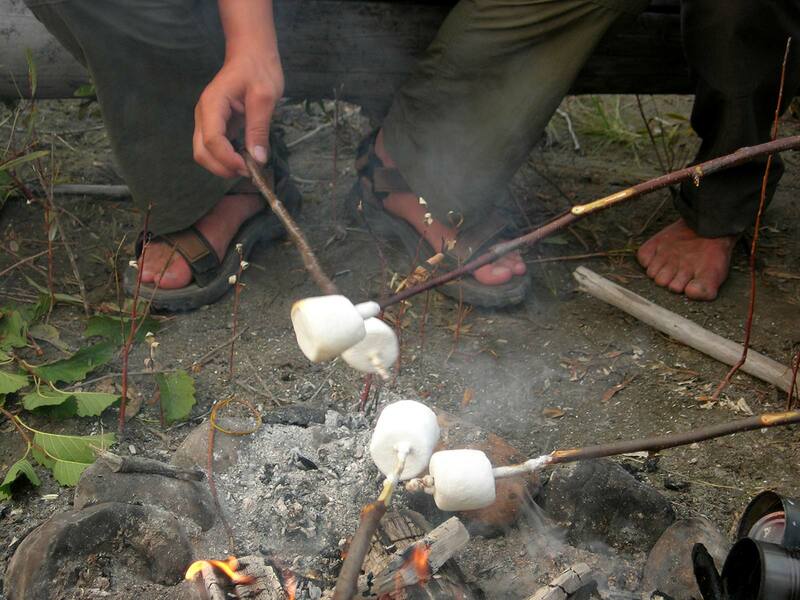 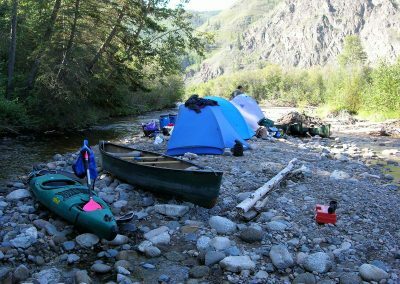 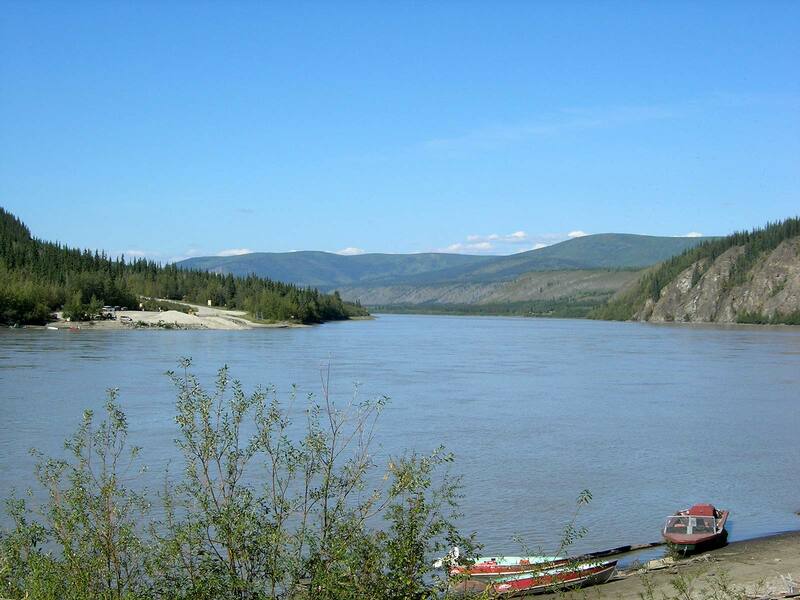 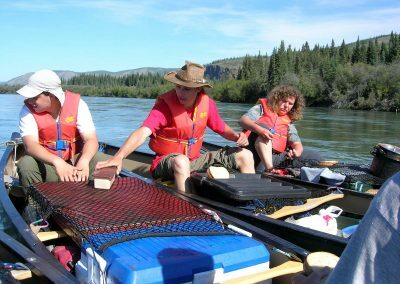 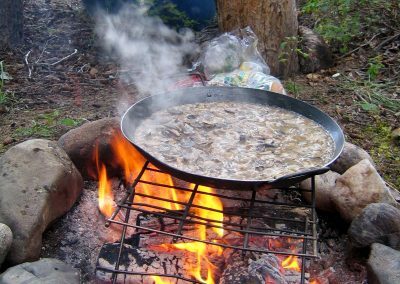 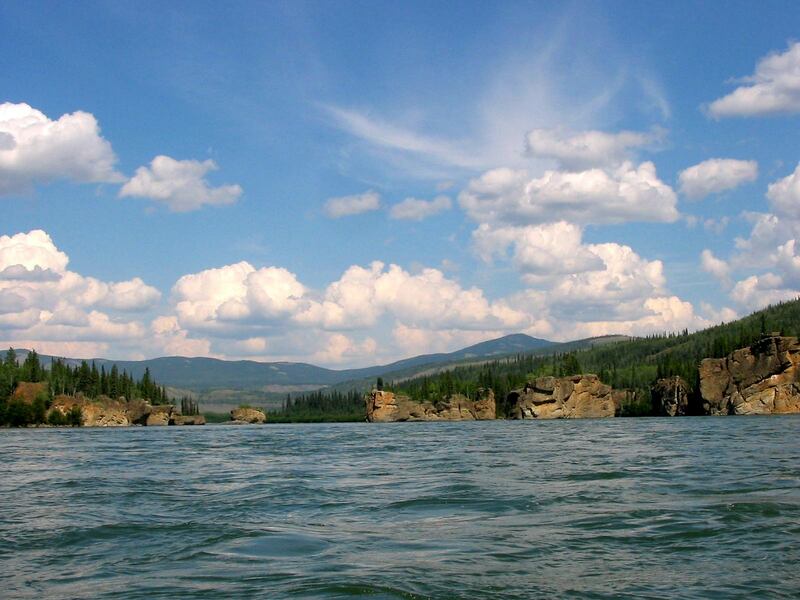 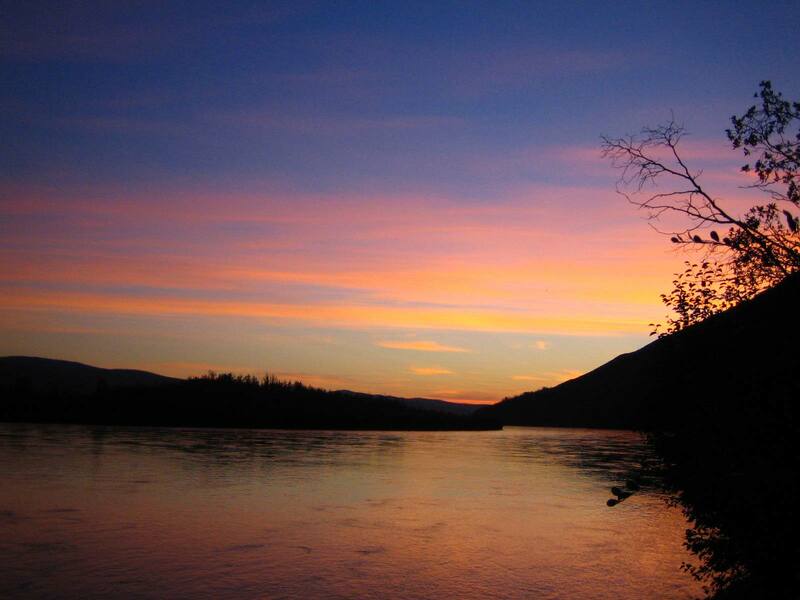 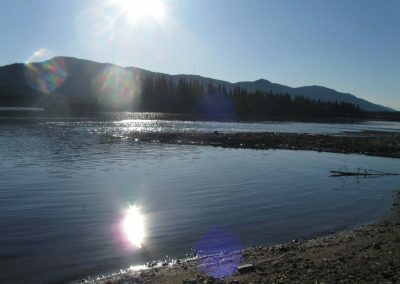 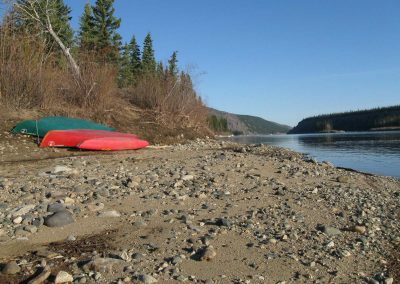 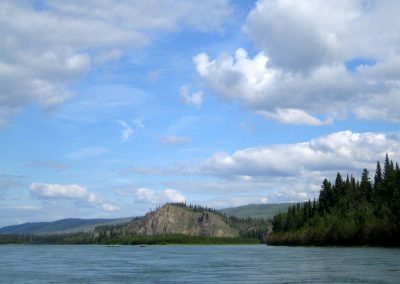 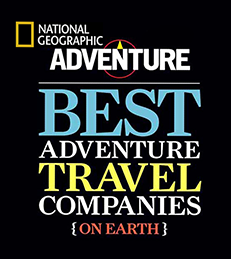 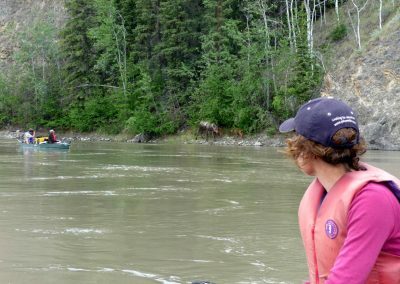 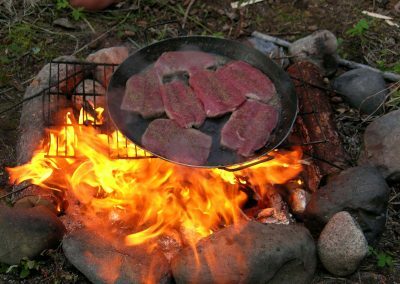 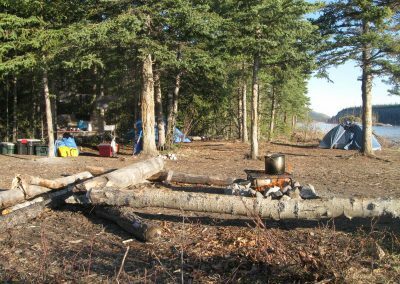 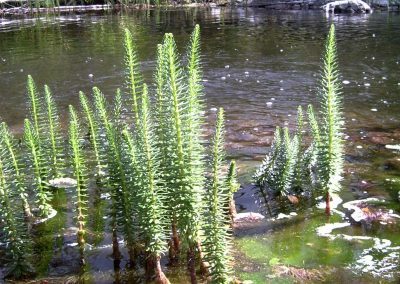 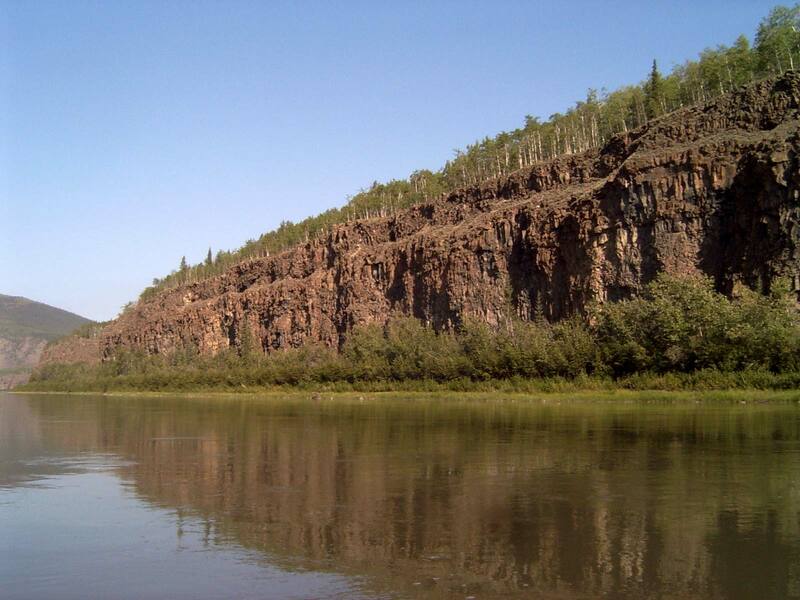 We follow the historic footprints of the gold seekers and adventures of once and start our canoe trip on the mighty Yukon River at Carmacks. 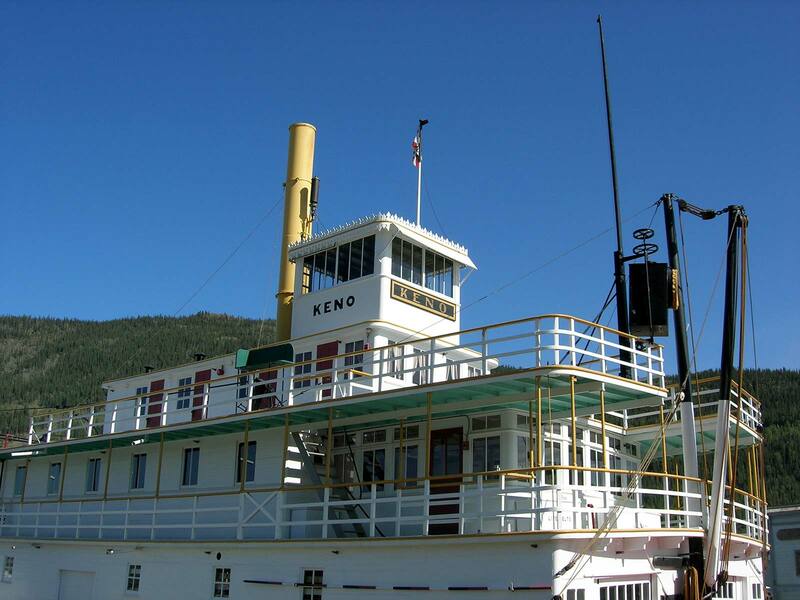 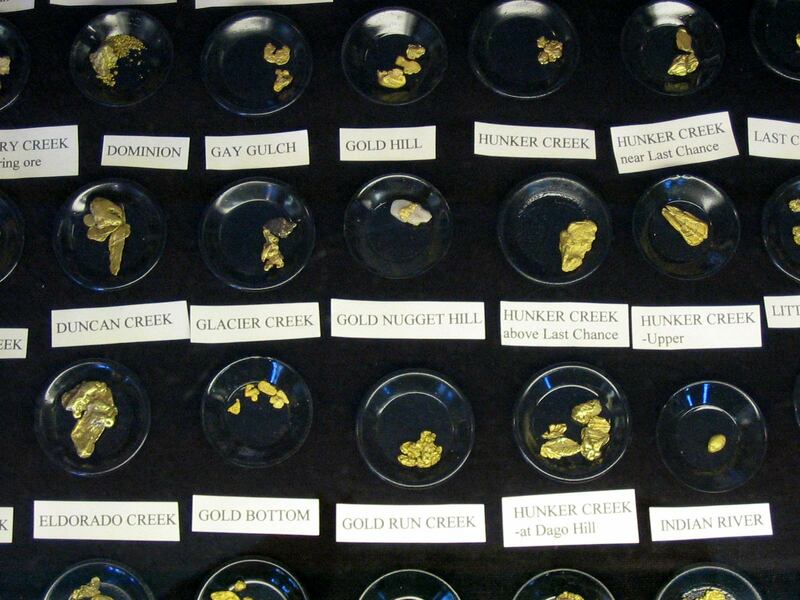 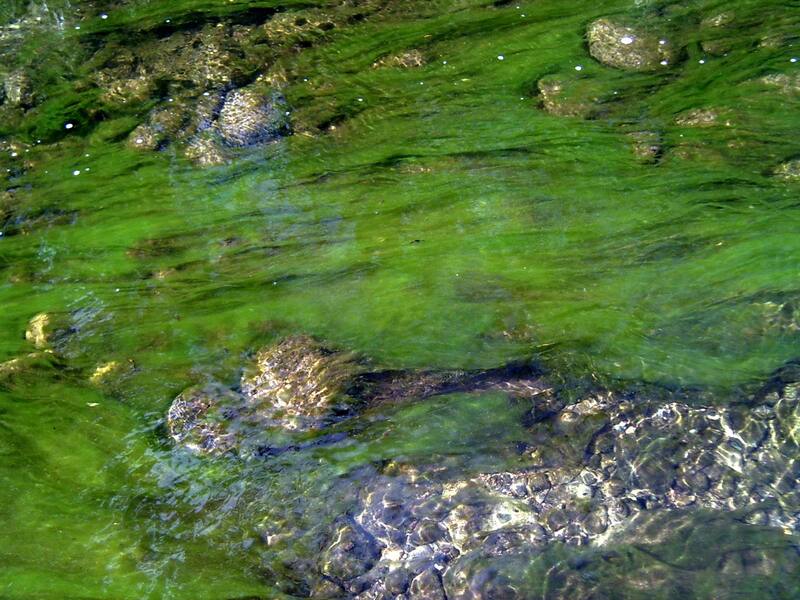 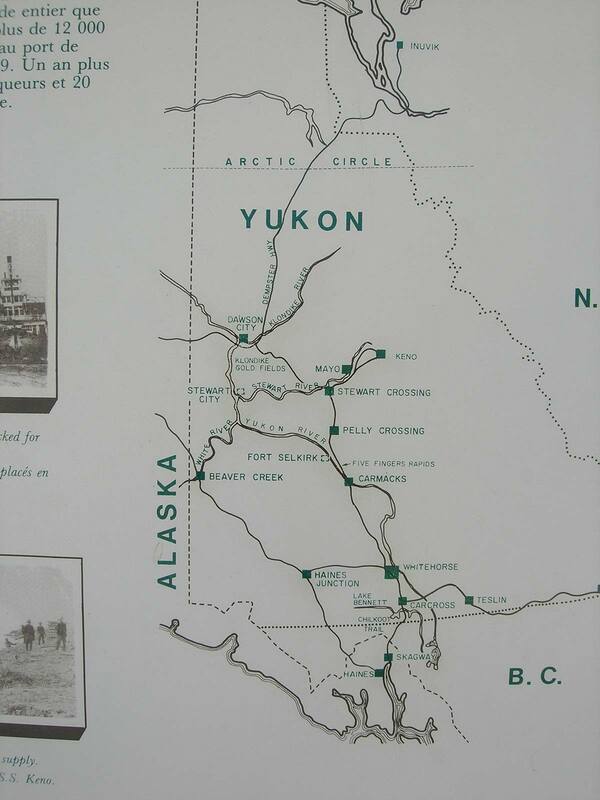 Away from civilization and in the midst of the wilderness, we follow the old routes of the big Klondike gold rush. 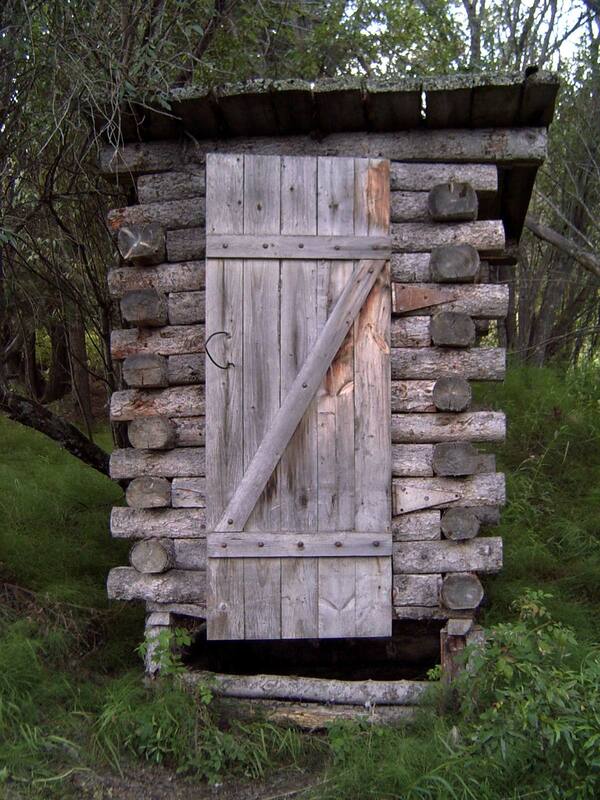 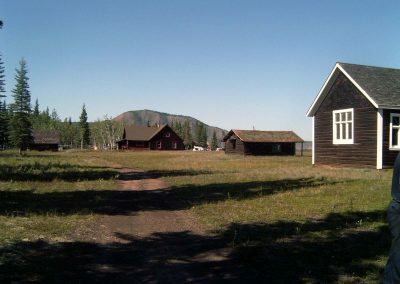 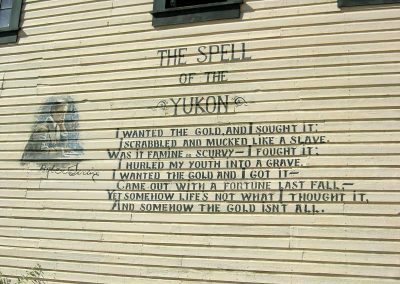 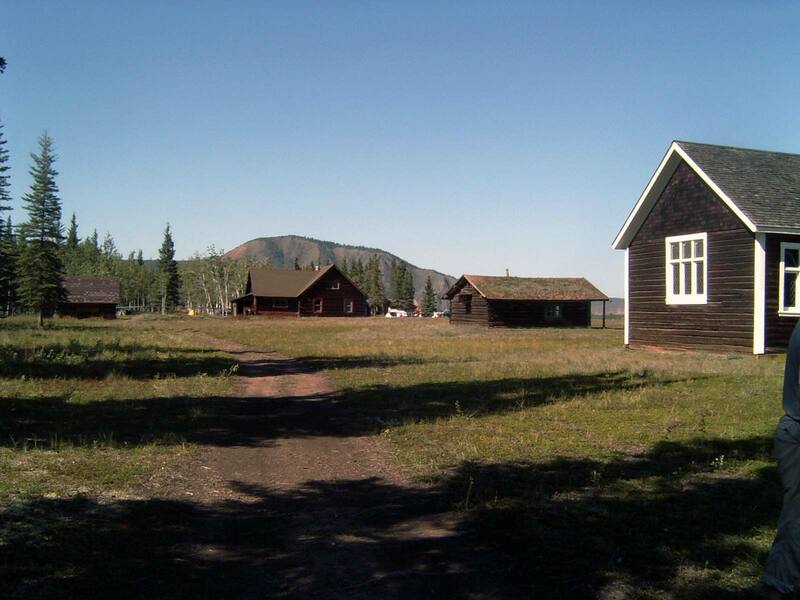 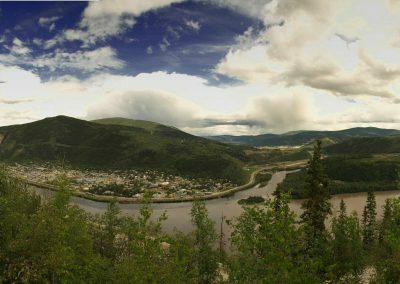 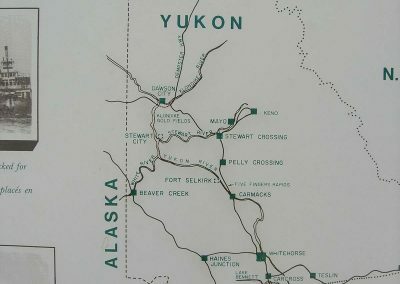 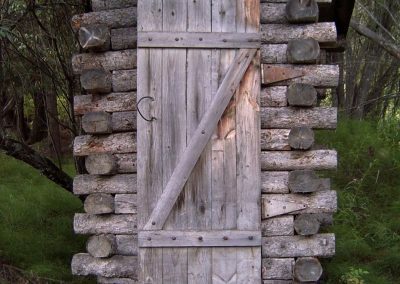 From Carmacks to Dawson City, past abandoned settlements and trapper cabins we enjoy the beautiful scenery of the Yukon. 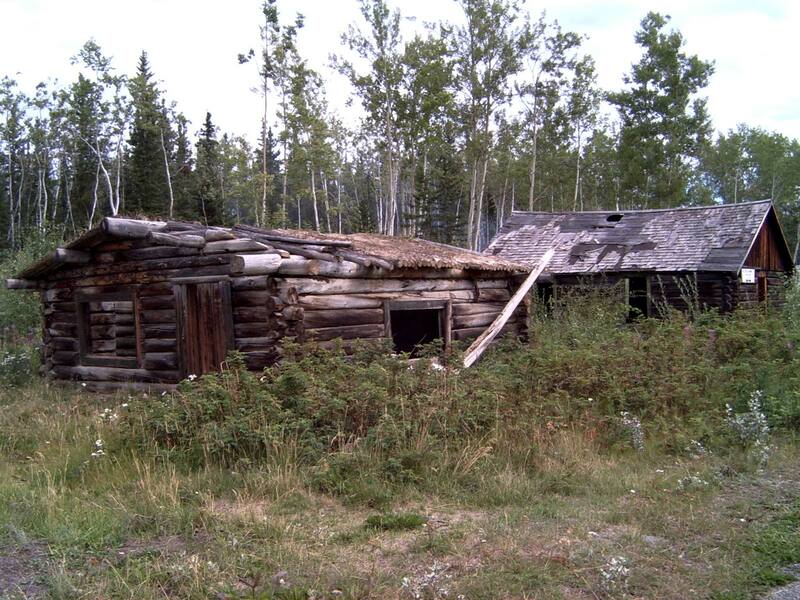 Again and again, we come across remains from the past. 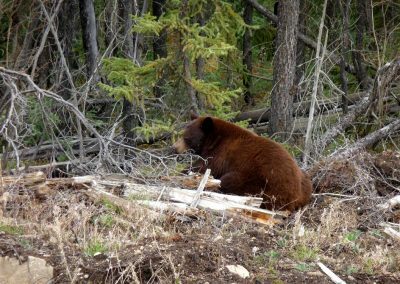 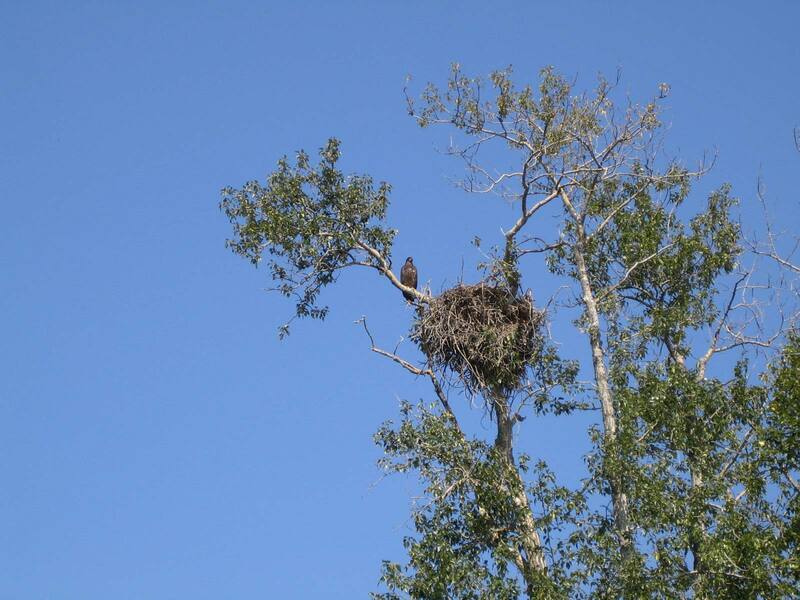 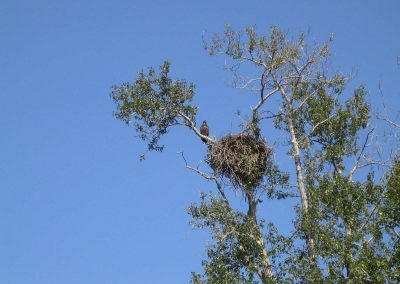 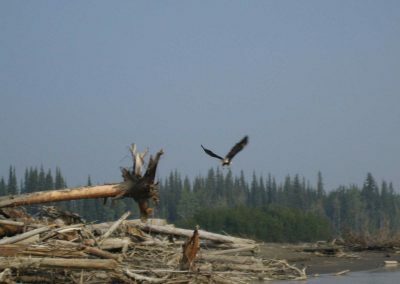 With some luck, we will be able to observe bald eagles, beavers, moose and possibly black and grizzly bears at close range. 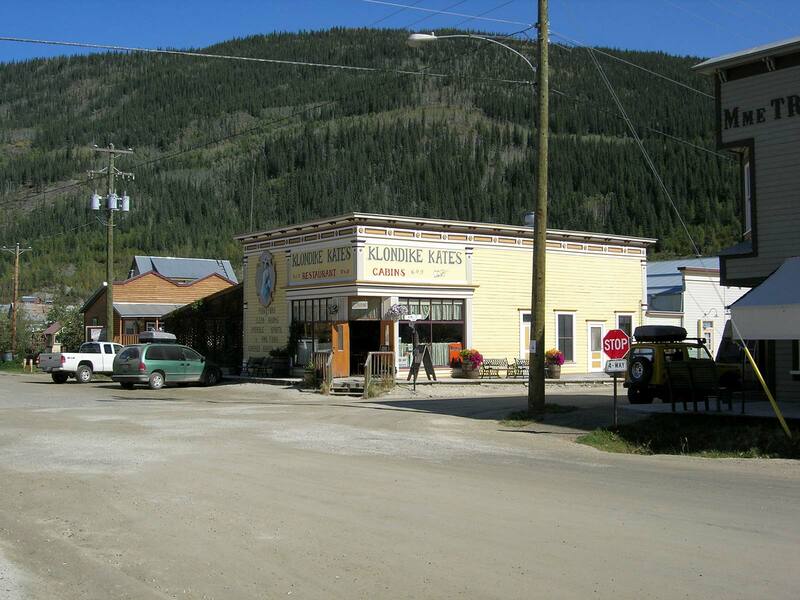 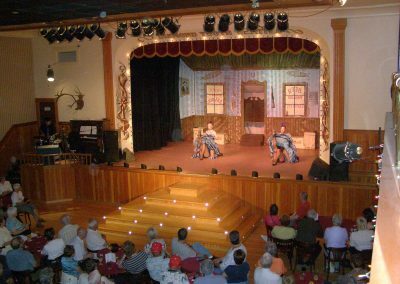 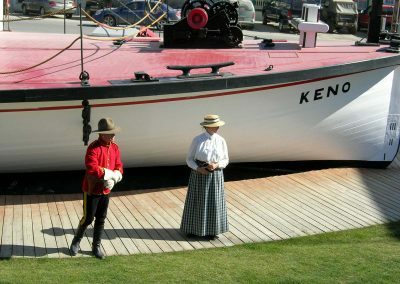 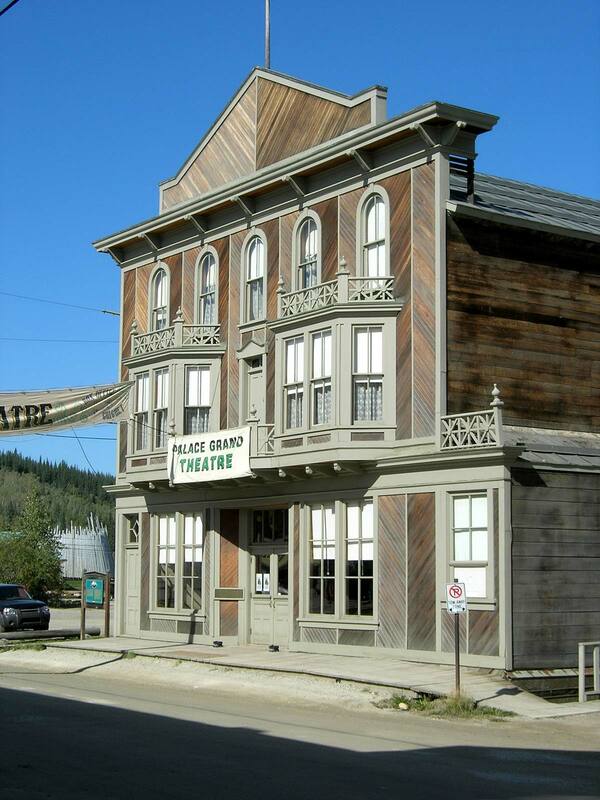 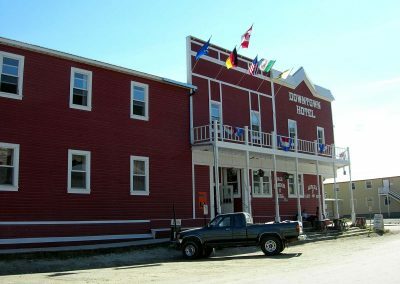 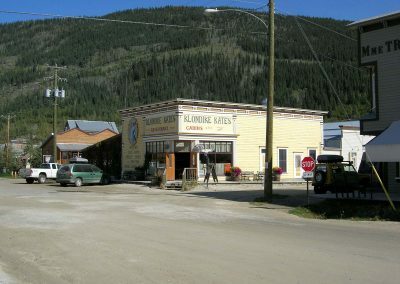 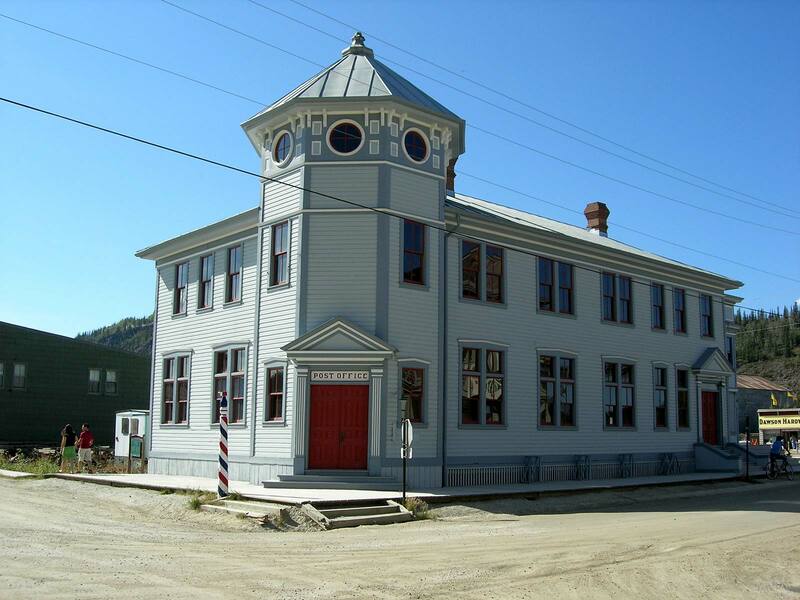 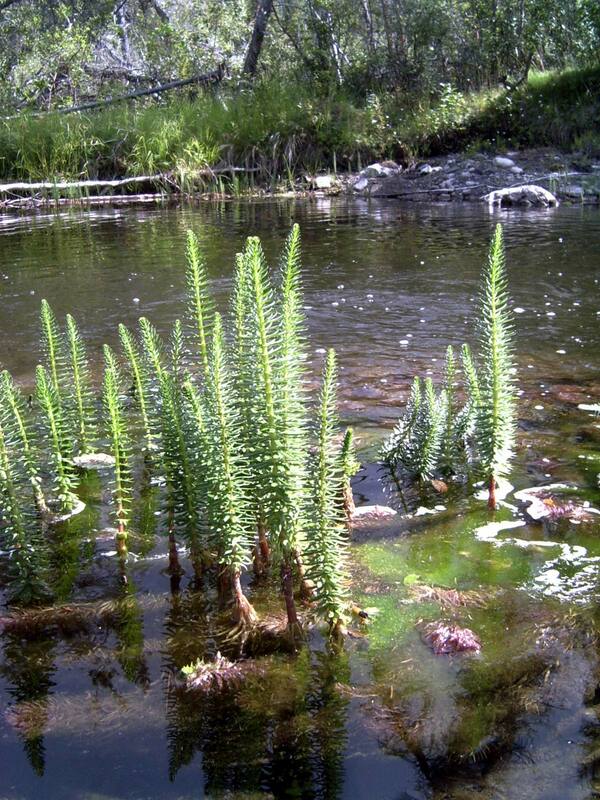 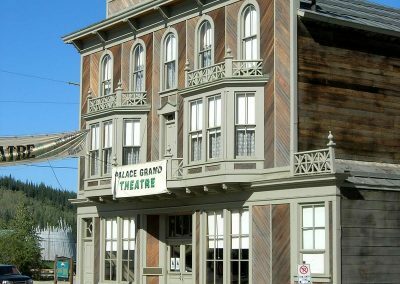 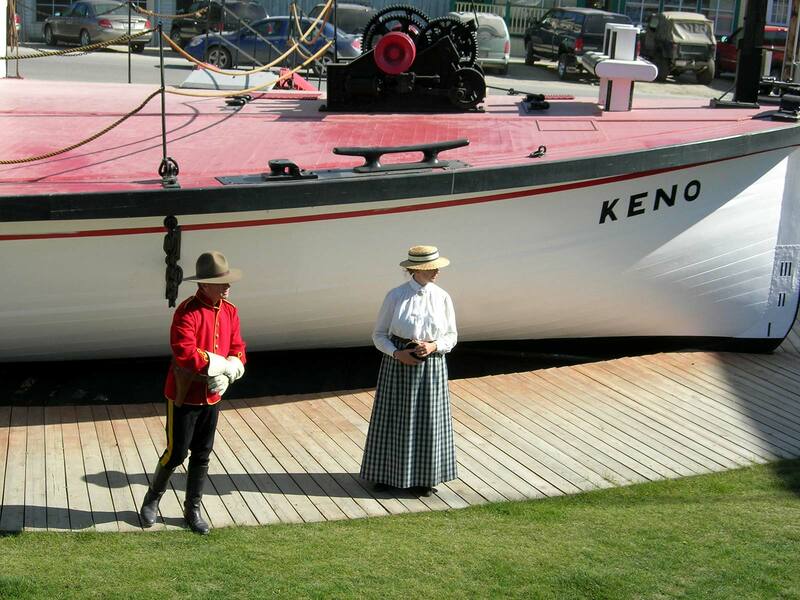 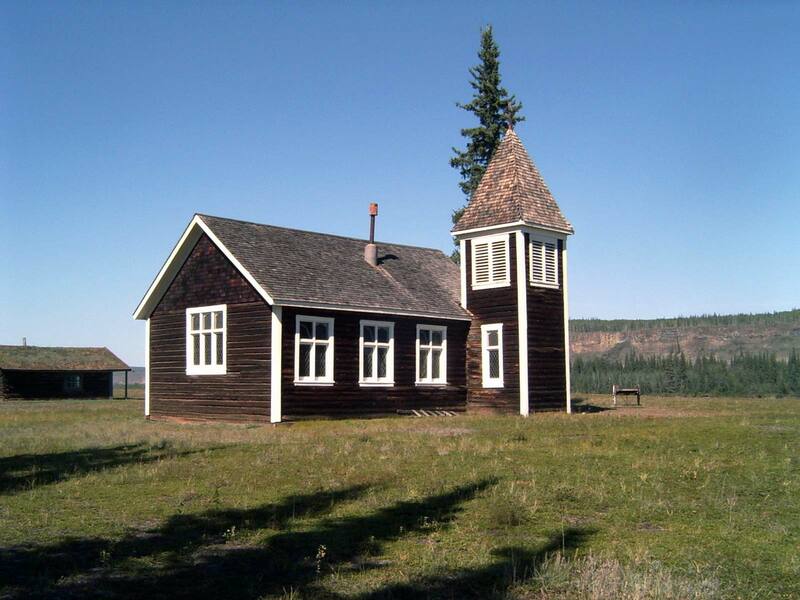 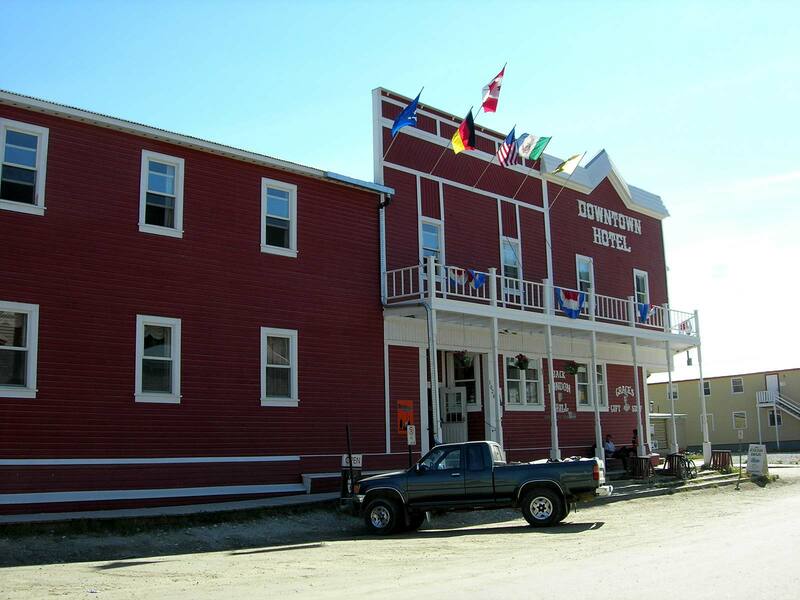 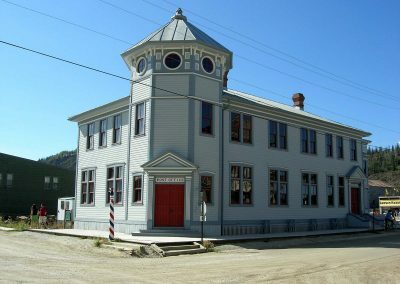 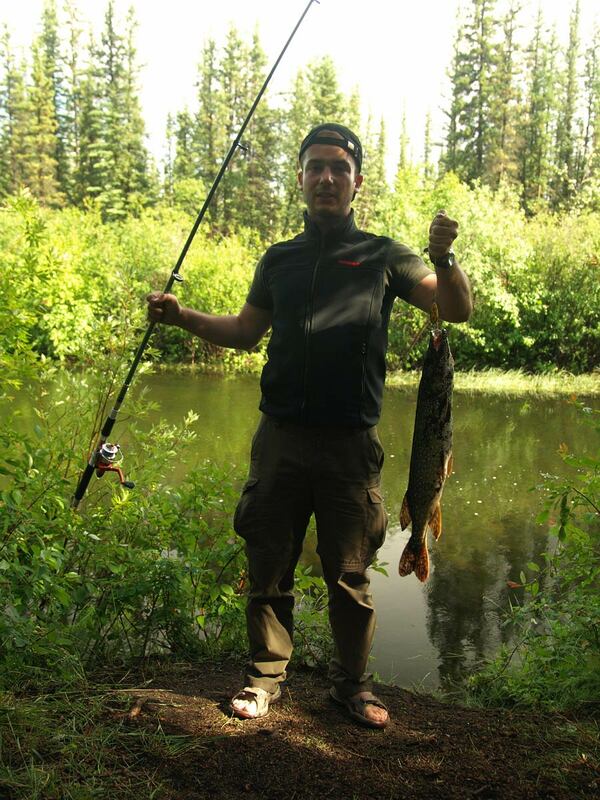 We start our adventure tour with drive north along the Klondike Highway to the village of Carmacks. 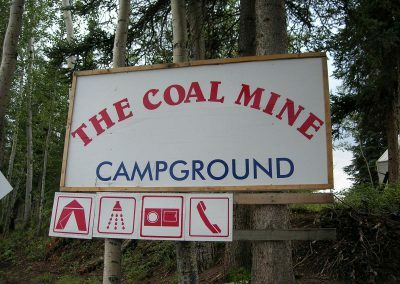 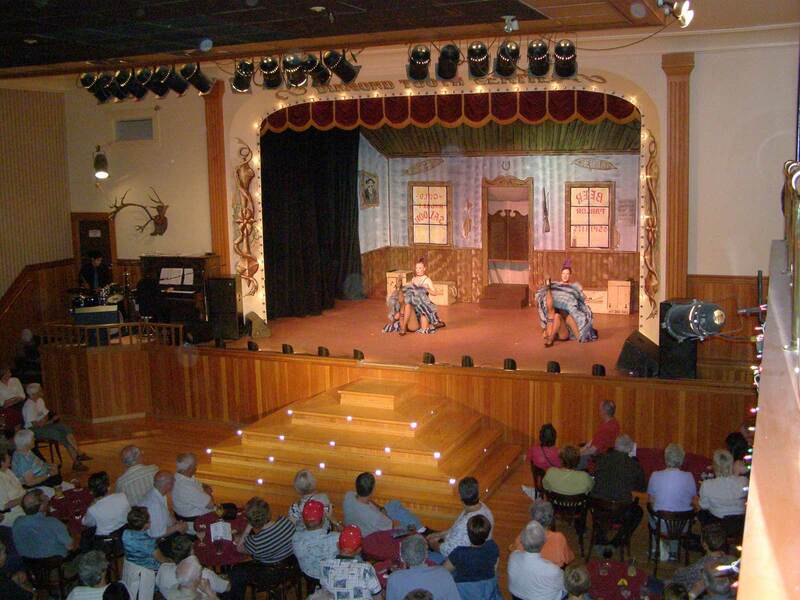 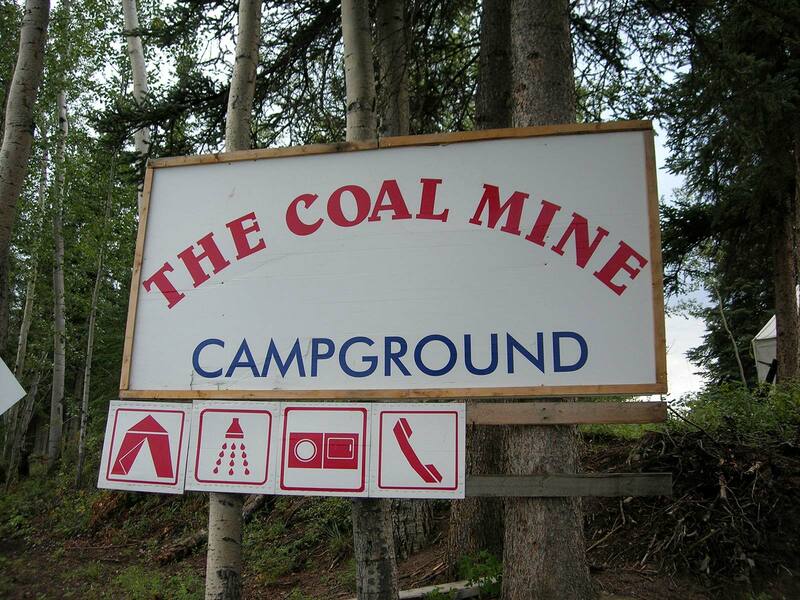 We will spend the evening at the Coal Mine campground. 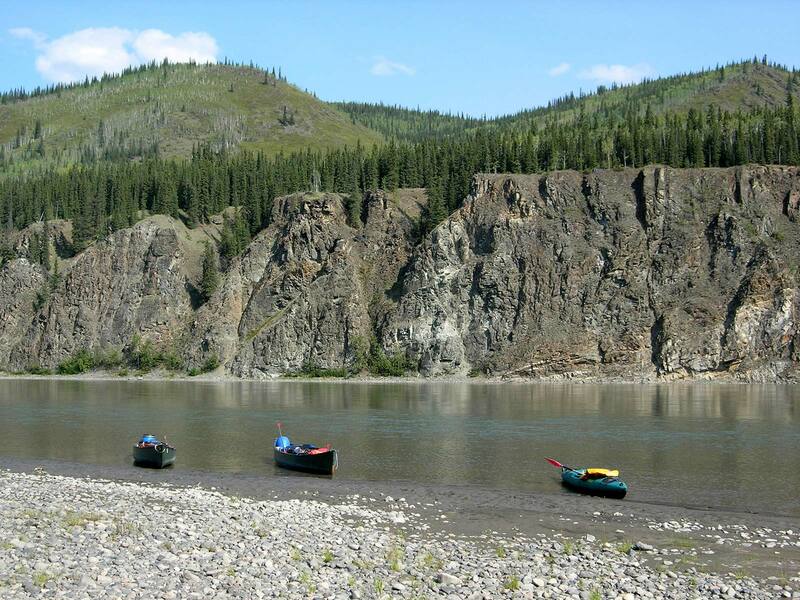 After breakfast we start our canoe tour down the Yukon River to Dawson City. 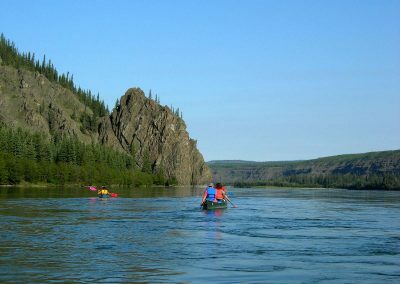 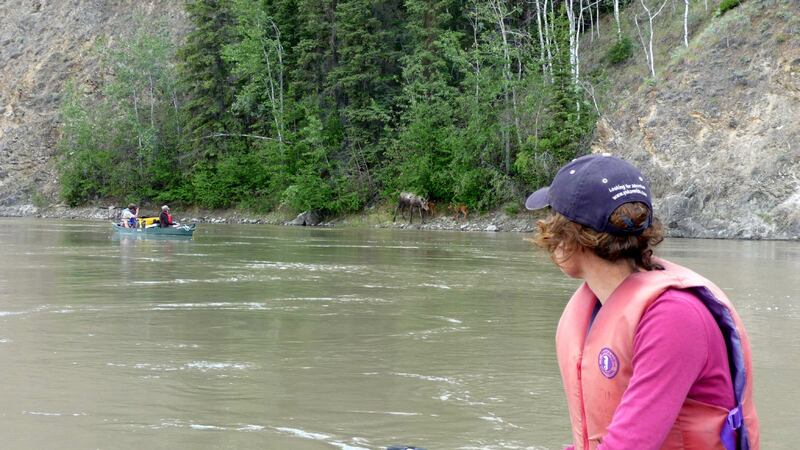 After passing Carmacks we leave the civilization and paddle through the untouched wilderness of the Yukon. 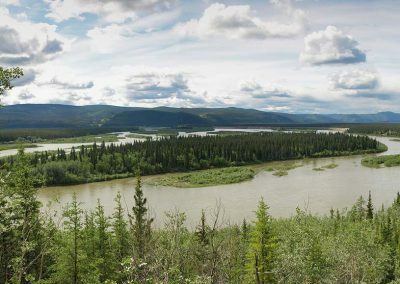 Once we are past the legendary Five Finger and Rink Rapids, the Yukon River spreads in a labyrinth of channels and islands. 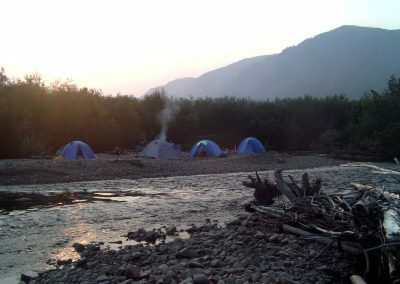 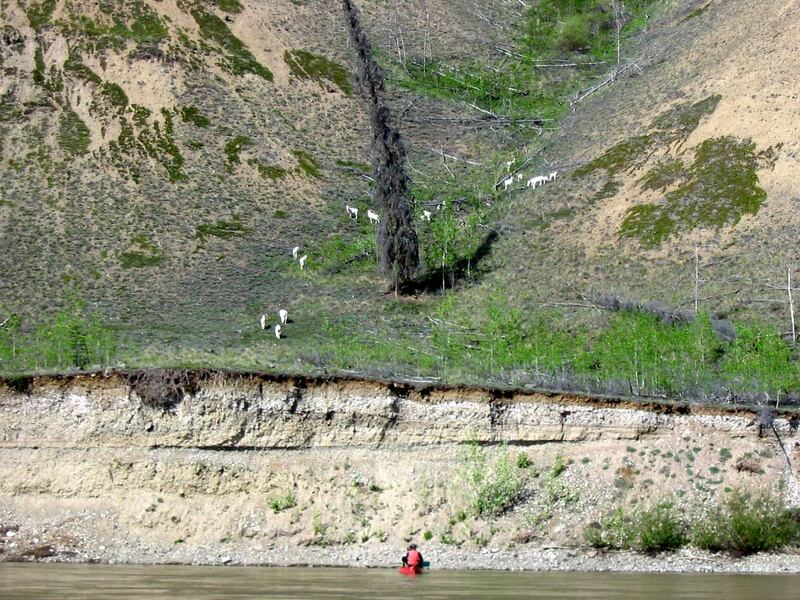 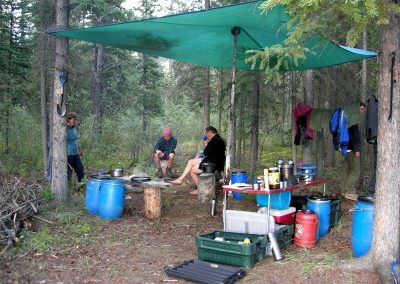 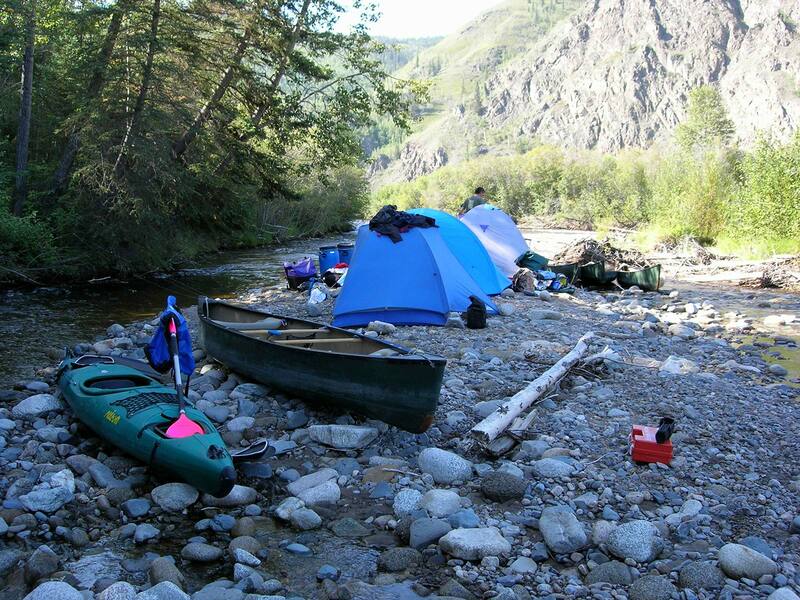 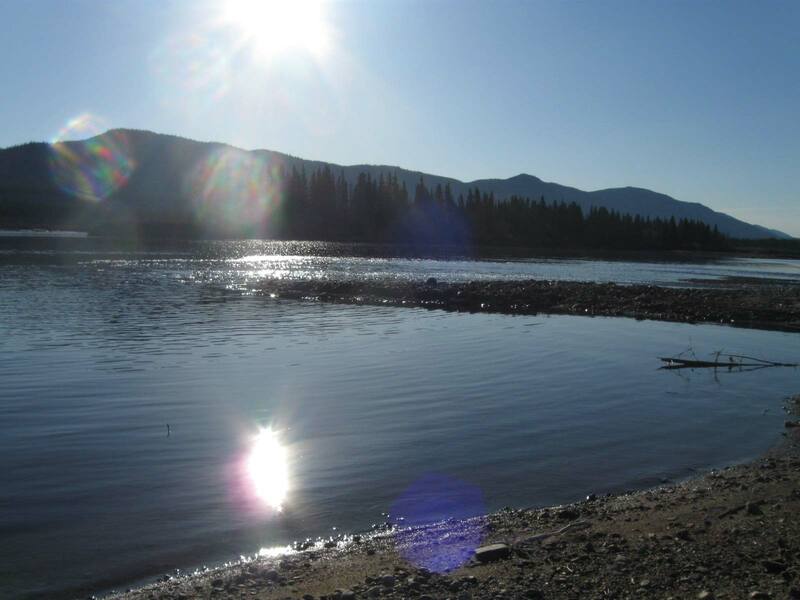 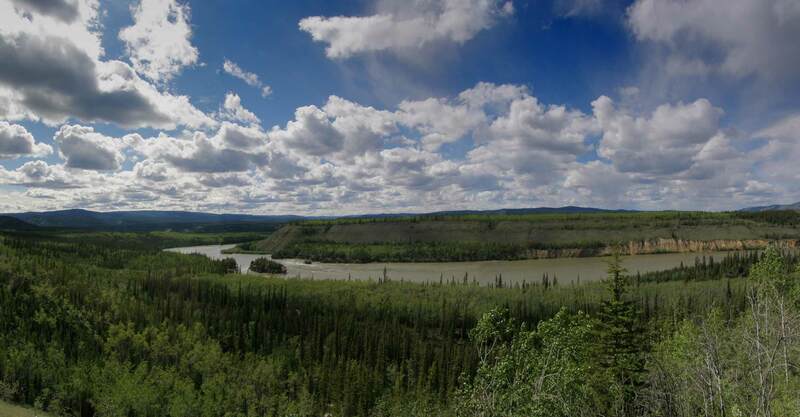 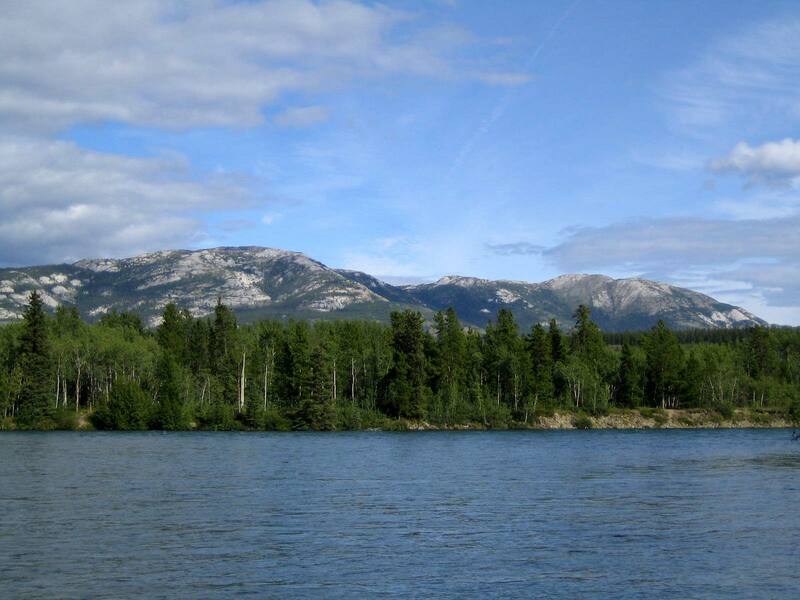 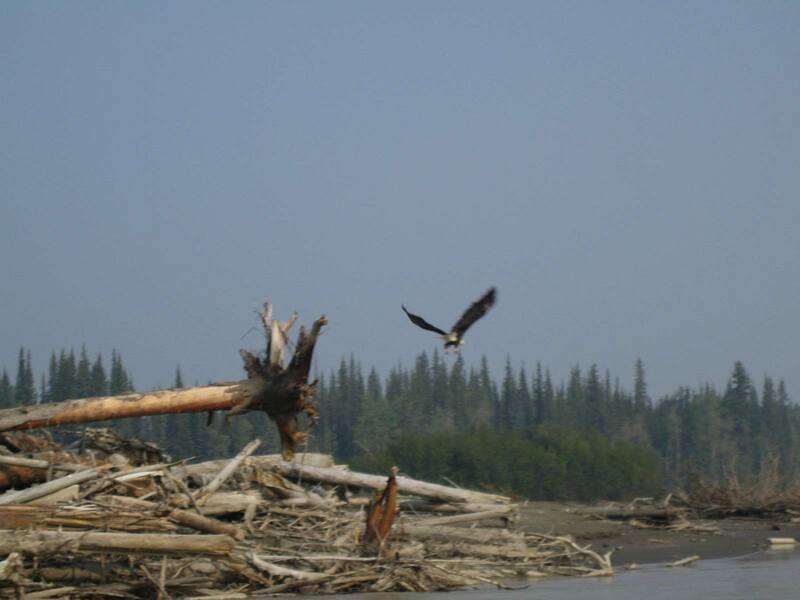 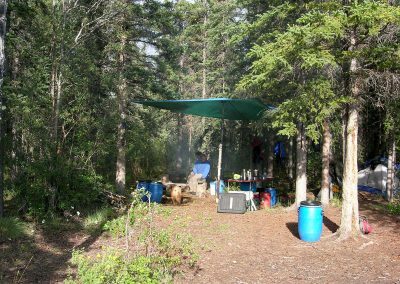 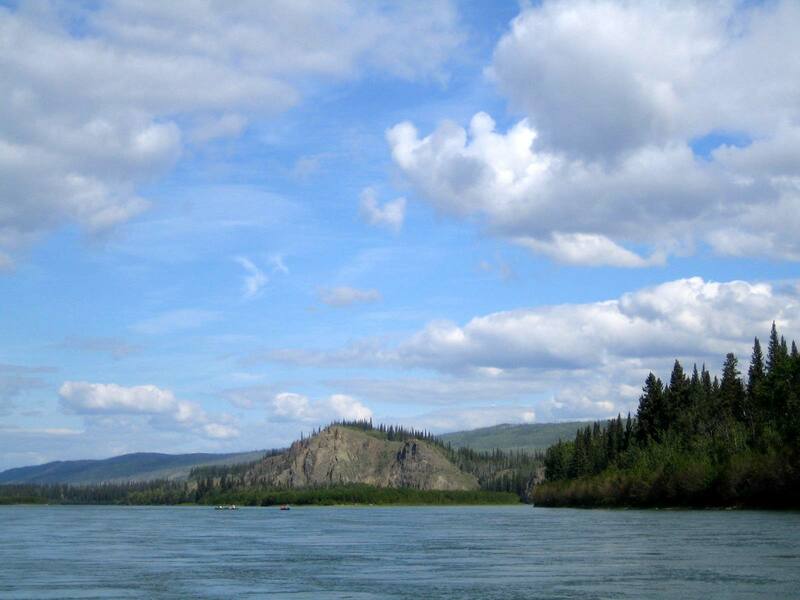 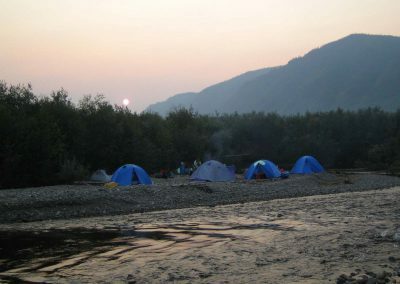 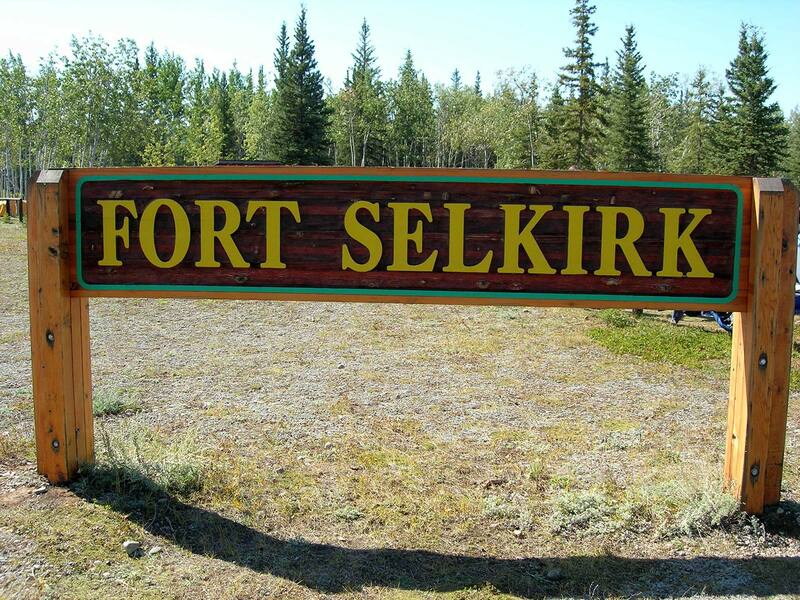 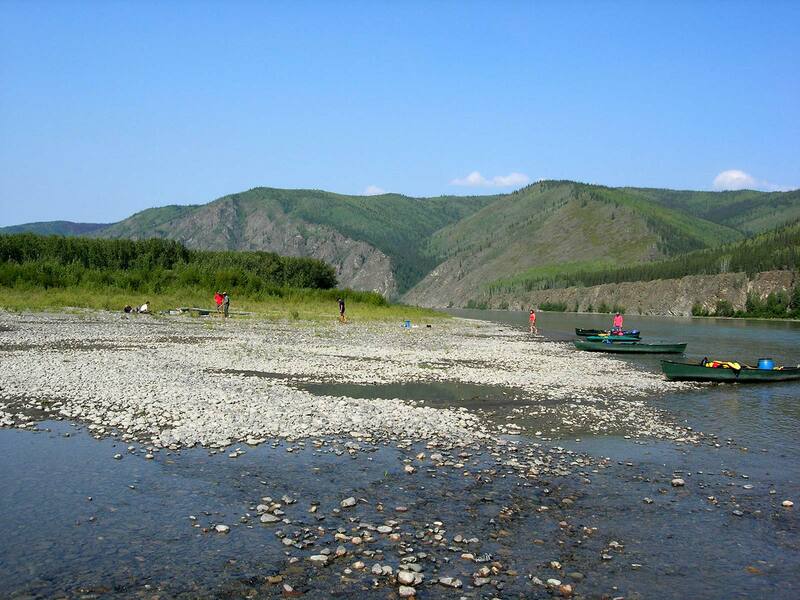 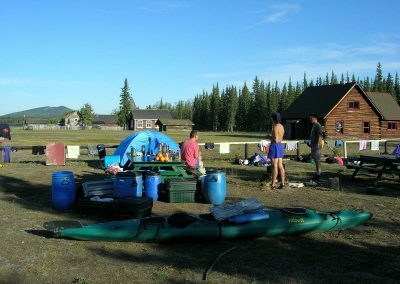 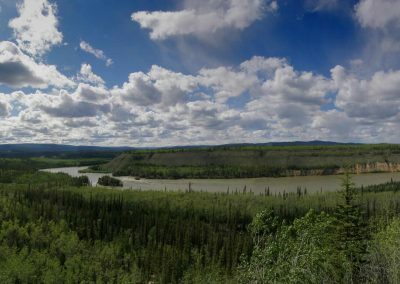 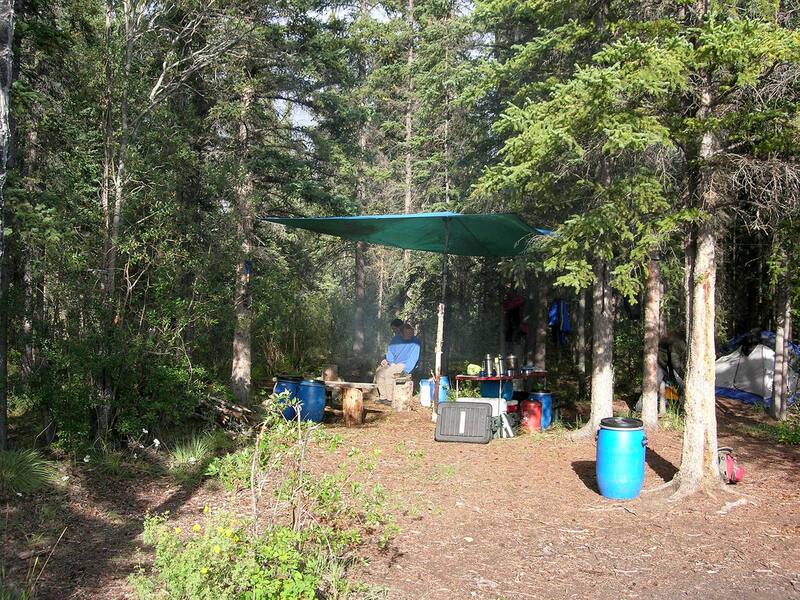 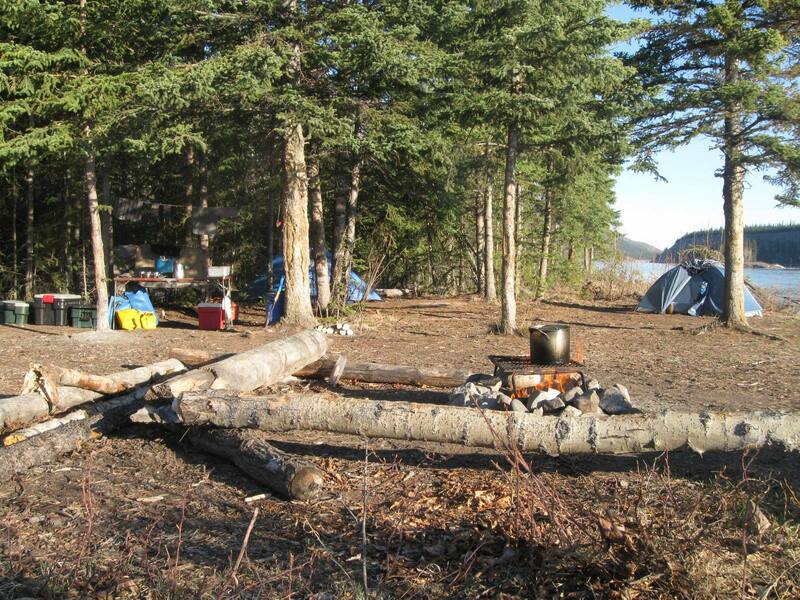 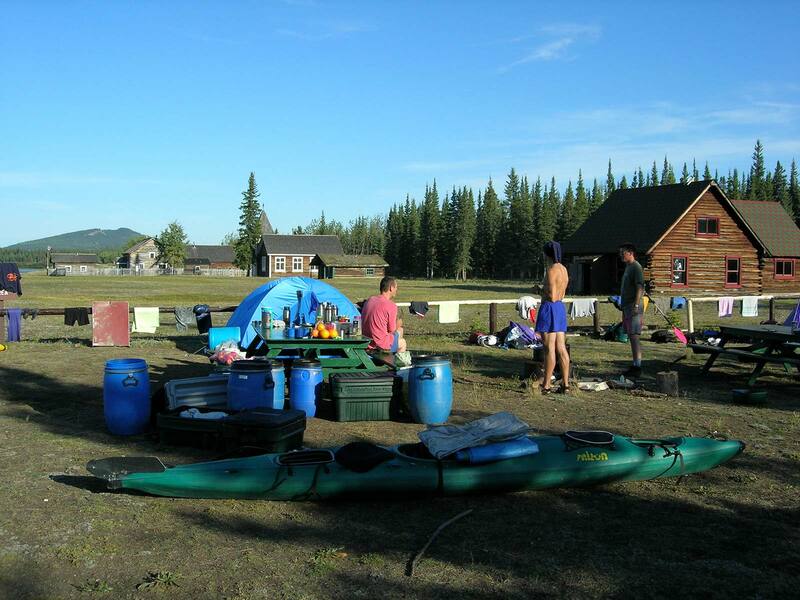 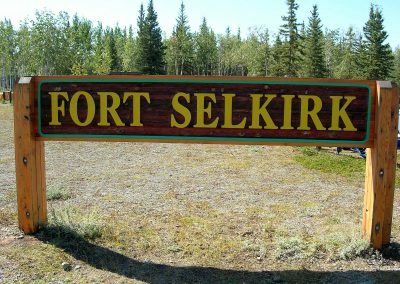 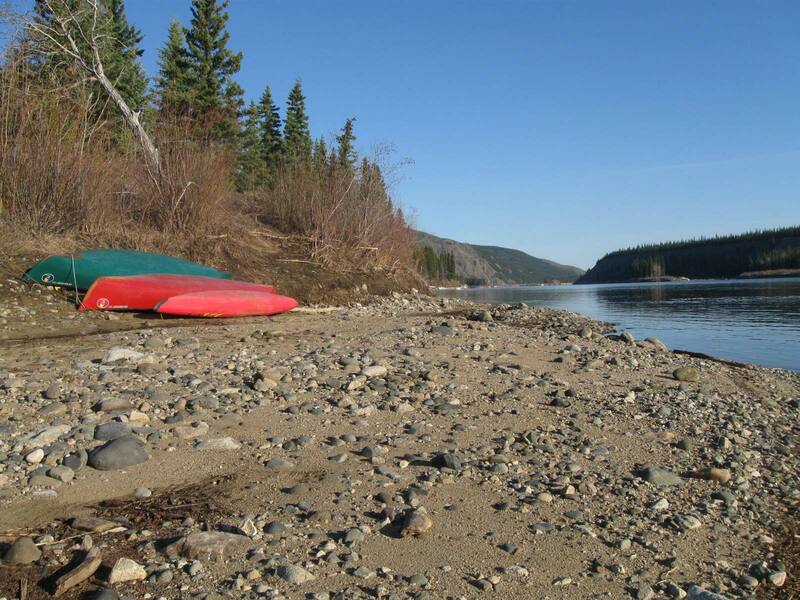 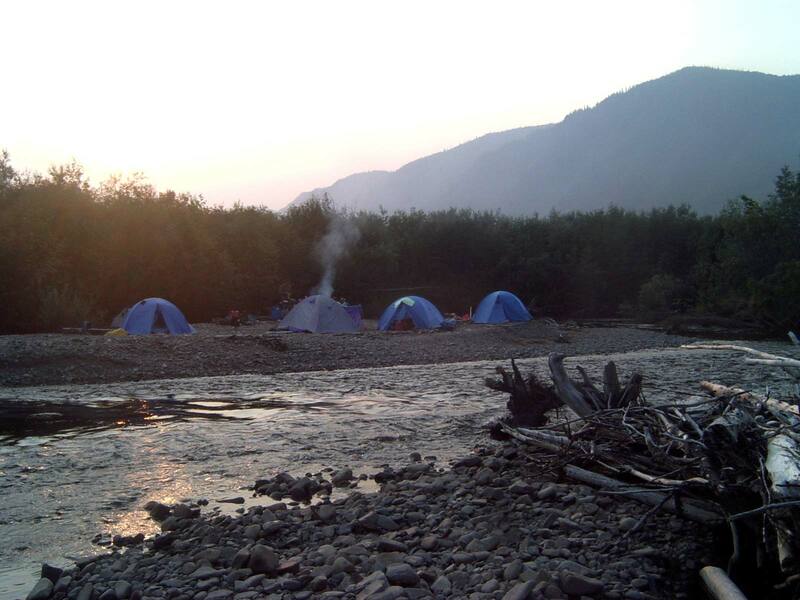 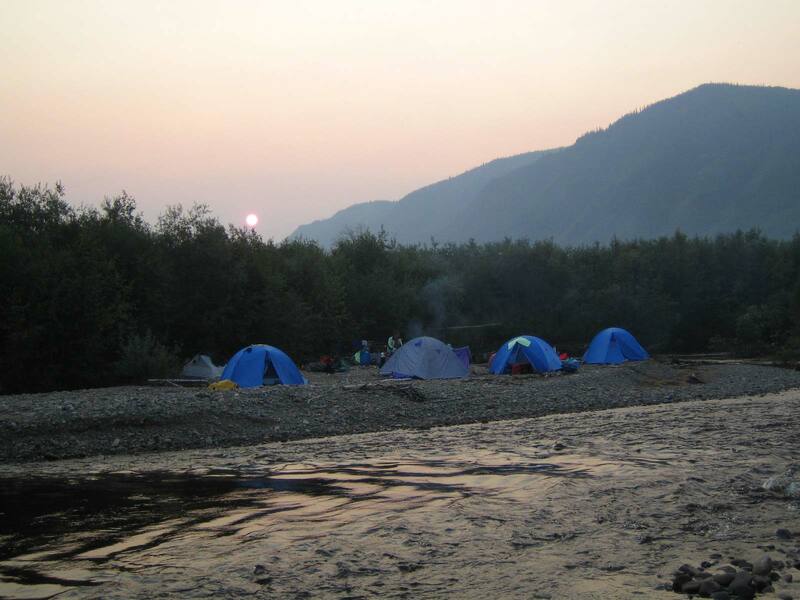 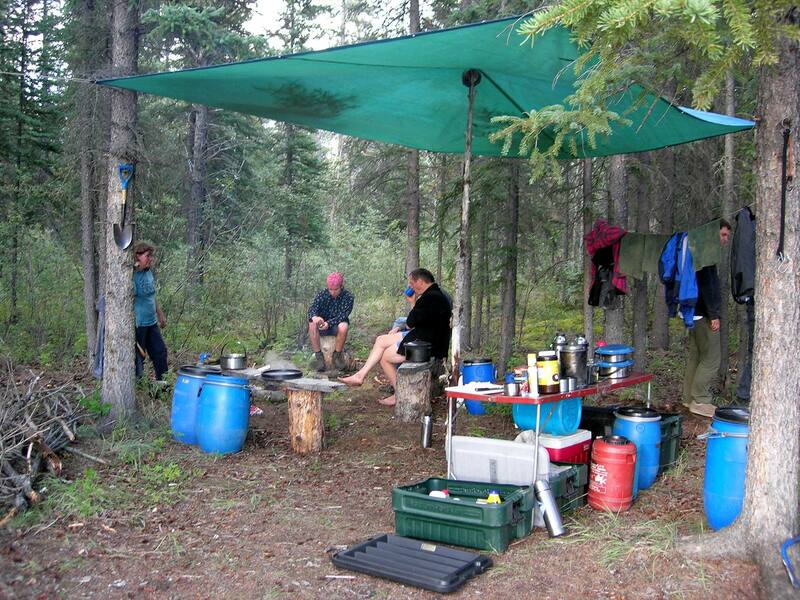 A tour highlight is our camp at the remote Fort Selkirk at the confluence from the Pelly in the Yukon River. 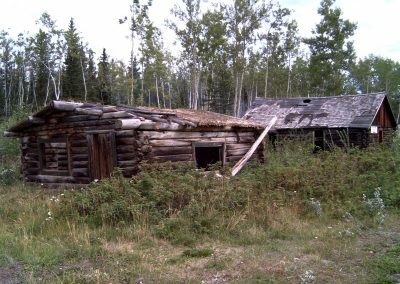 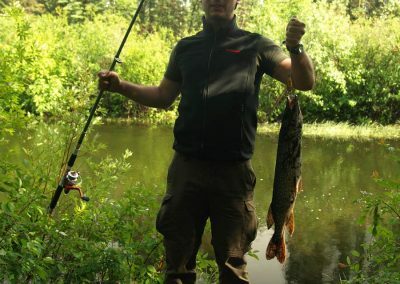 While exploring the former settlement we will gain the best impression of the pioneer life during the middle of the last century until the settlement was abandoned in the 1950s. 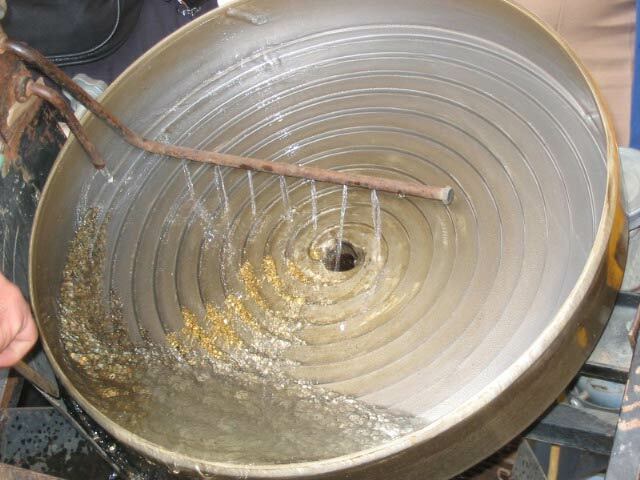 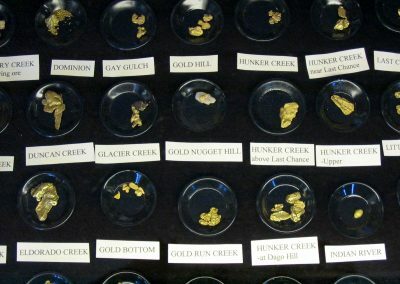 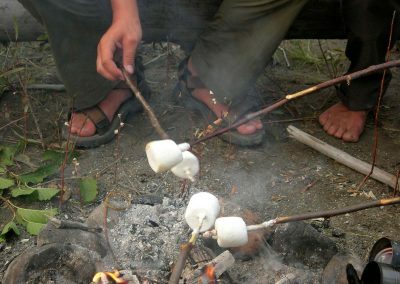 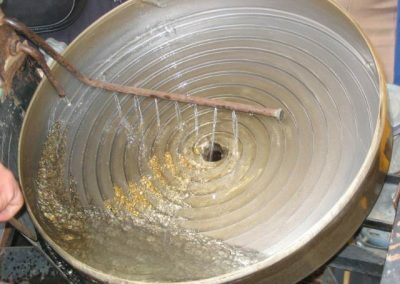 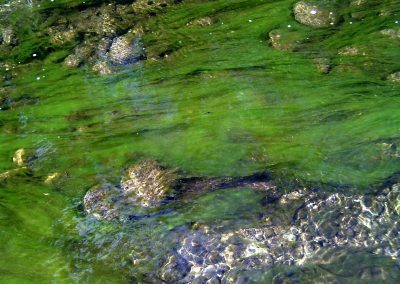 After 8 days on the Yukon River we notice the first signs of modern gold mining techniques. 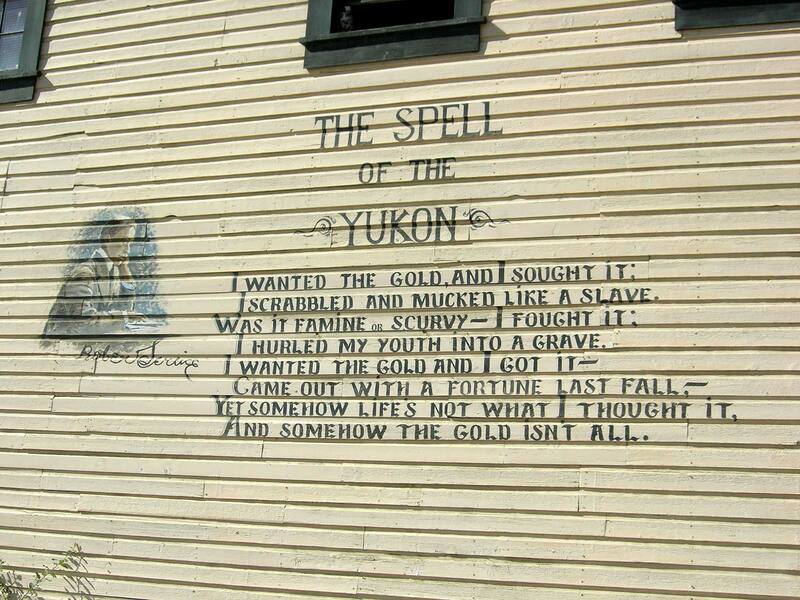 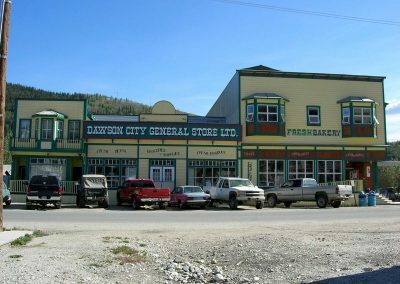 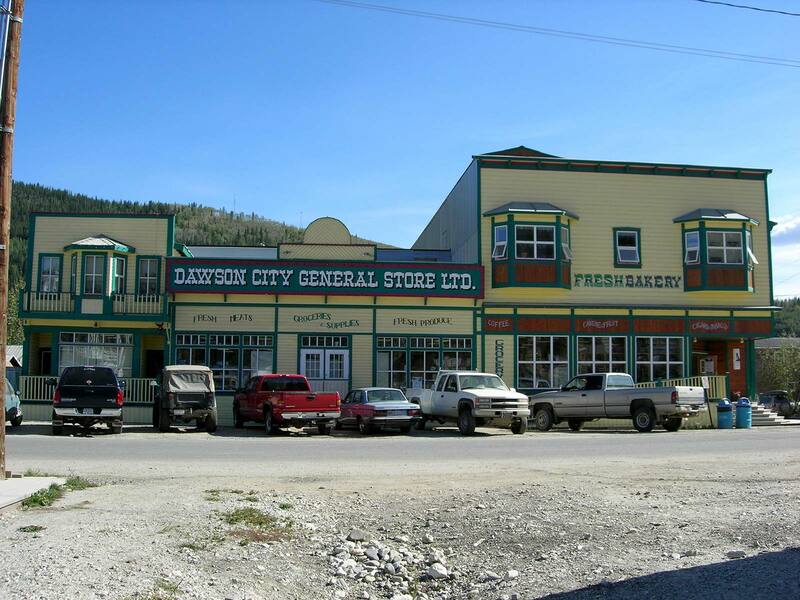 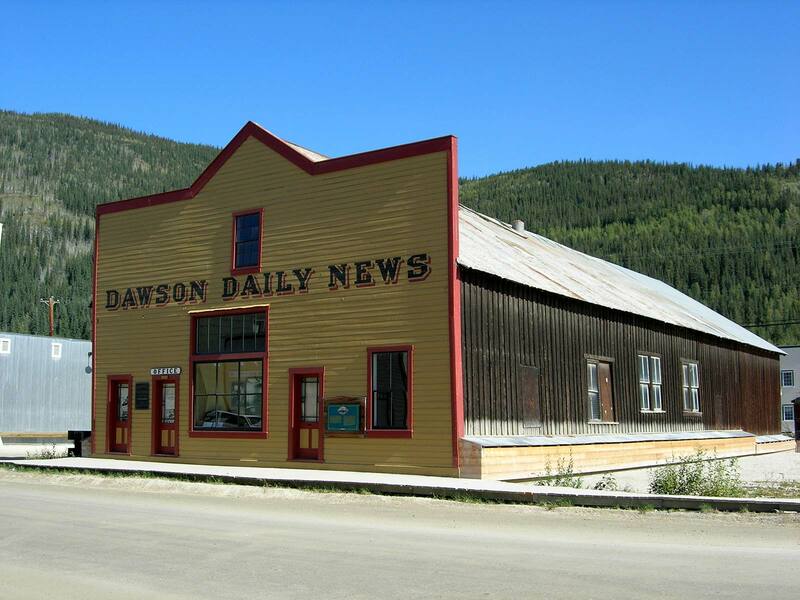 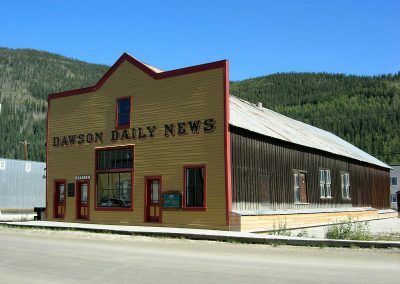 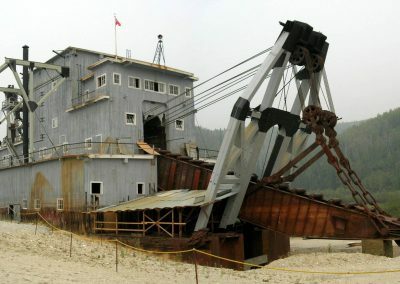 For us a sign that we reached the Klondike goldfields and we will arrive in Dawson City today.